GeneaWebinars: Are You Ready to be a Professional Genealogist? Webinar Description: Many people who have worked on their own family history research consider this profession. However, we need the necessary areas of skill, experience, and understanding before presenting ourselves as a professional in this field. I like to offer realistic encouragement to those considering working part-time or full-time in this occupation. During this webinar we will cover some readiness questions, learn about ways to improve our skills and knowledge, and learn to honestly judge our readiness. How do you think you will do in the readiness questions? While directed mainly at those interested in doing research for clients, most of these principles also apply to those who are writers, editors, lecturers, heir searchers, or genealogical reference librarians. About the Presenter: Paula Stuart-Warren is an internationally recognized genealogical educator, researcher and consultant focusing on unusual resources, manuscripts, methodology, and analyzing records. She has researched onsite at the U. S. National Archives, Family History Library, Minnesota Historical Society, Wisconsin Historical Society, New England Historic Genealogical Society and other state and local repositories from coast to coast. She is a Course Coordinator for the Salt Lake Institute of Genealogy and the Genealogical Research Institute of Pittsburgh, and has lectured at National Genealogical Society and Federation of Genealogical Societies conferences since the early 1990s, and in many states and Canada. Paula is a former officer of the Association of Professional Genealogists, former board member of the Minnesota Genealogical Society, and past President of the Northland Chapter of the APG. 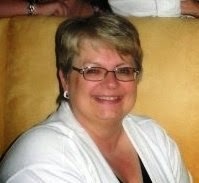 She is currently a member of the Board of Directors of the Federation of Genealogical Societies. This free webinar is sponsored by the Association of Professional Genealogists and is part of the ongoing APG Professional Development webinar series. We look forward to having you join us!